These are amazing! I look forward to seeing what you do next. You find inspiration in the most amazing things, really admire your work| This is another treasure to put on the list. Wow! such a simple everyday item and it looks proud and important! Lovely drawing! OK, you aren't really going to do a whole sketchbook with your lovely meticulous art in six weeks. Yikes! Looking forward to see your pieces. This is a lovely sketch - I deifnitely would not have had the patience for it! I keep umming and ahing the sketchbook too...! Lovely drawing Debra, I'm curious to know what you theme is! So precise! It's so realistic the softness of the thread shows - I want to touch! Amazing work. this is beautiful. 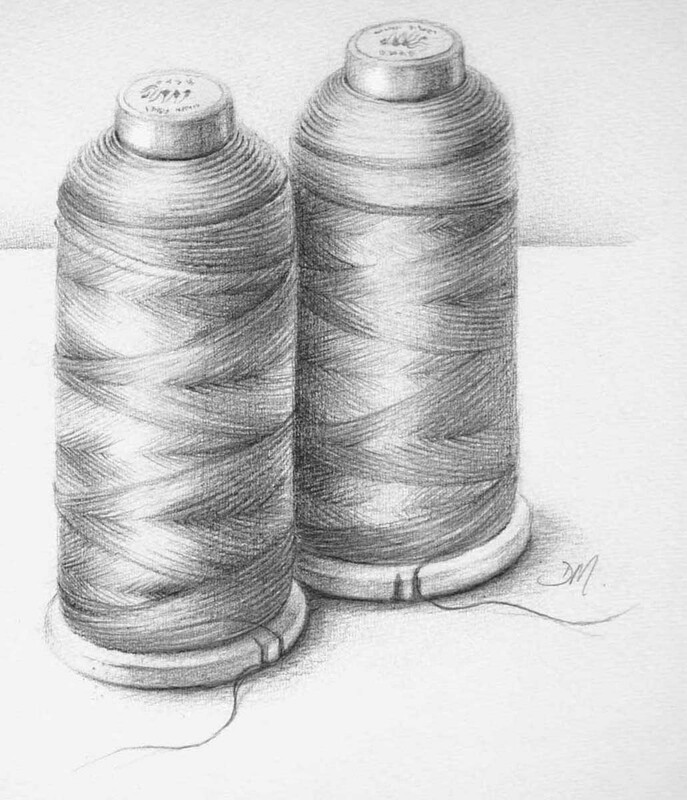 i love the way you captured the shine of the thread. Absolutely an elegant drawing! I look forward to seeing what's next for your sketchbook project! i'm sure it will be amazing like always - great start so far. Agree with Ann -- very elegant sketch!